Riley Beveridge reports on the www.afl.com.au website the deal that will see the Port Adelaide Power and St Kilda commit to China for another three years. With new teams and leagues continuing to grow across Asia, the news will be welcomed as the centrepiece to future Asian development from grass roots to elite levels. PORT Adelaide has struck a deal to take on St Kilda in its annual China clash from 2019 and beyond, with the two sides confirming a three-year agreement on Thursday. Gold Coast had been Port Adelaide's opponents in Shanghai over the past two seasons, with the first home and away game played on Chinese soil back in the 2017 campaign. However, the Saints will replace the Suns in 'hosting' a match at Shanghai's Jiangwan Stadium, which has a capacity of around 11,000 people for AFL matches. Next year's match will be played on a Sunday in round 11, with the AFL confirming that the two sides will again have the bye the following week as they return to Australia. 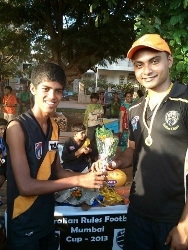 From the earliest days of Australian Rules football in India, one young man has dedicated his time beyond expectations to help grow the game. Sumesh Sawant (also known to some as Sumesh Bond) has been involved as a player, coach, official, teacher and so many other roles and he is only 24 years old. When I spoke to him a few years ago, Sumesh said he fell in love with the game when introduced to is as a teenager, mainly because of the athleticism and strong body contact involved. He also loved learning the skills, but especially loved the team aspects of the game, and has made many of his friends today from his involvement in the game. Whilst there are times where the unification of all footy parties in India could be questioned, there is no questioning Sumesh’s commitment to the game. He has been a constant conduit between the kids and players from many sectors of Indian communities and the organisations running the game. His own infectious enthusiasm has been spread to others, helping grow the game in India. 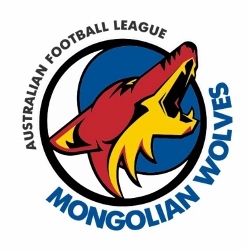 In yet another amazing example of Asian expansion, the Mongolian Wolves Australian Football League is under way. Whilst only in their early stages of development, the league already has kicked goals – men’s footy and also kids – and has grander plans. The Osaka Dingoes are hosting the Aussie Night for the season launch and to recruit more players. Aussie beers and food will be served at reasonable prices and the live AFL coverage of North Melbourne versus Adelaide Crows will be on. Please share this article on your social media platform to spread the information so that we will attract more people to come in. Everyone is welcomed, and we hope patrons will enjoy the event and them getting involved in Osaka’s own AFL club. The Osaka Dingoes hosted a GO League match for the second time in 2019. 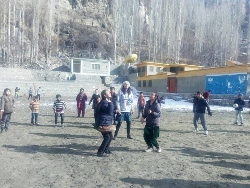 The match was played in quite windy conditions at five degrees under lights at a soccer field on a hill. Eight players on each side were fielded because of Dingoes’ players availability. The home side had no interchange player available. With so many Australians visiting Bali for so many years it is hardly surprising that an Australian Rules football presence was likely to grow there. 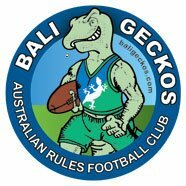 The journey of the Bali Geckos is the story of just how that presence took hold and grew to where it is today with the Bali Geckos a key part of the AFL Asia competition. Club founder, Greg Hinchcliffe, kicked off the club in 1997 and was keen to tell their story. 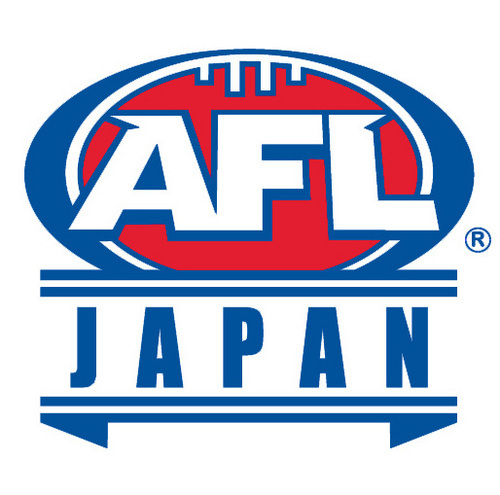 AFL Japan has announced that the 2019 AFL Scholarship player is Murata Yusuke from the Senshu Powers club. The scholarship has been awarded for some thirteen years now and involves the player living in Melbourne and training and 'possibly' playing with Boxhill North Football Club for around two months. Murata is due to arrive in Melbourne on 18th February 2019 and play/study/train in Australian Football until 8th April 2019. Osaka Dingoes’ first footy match in 2019 was played in freezing conditions - zero degree and occasionally snowing. Due to numbers of available players for both sides, it was a seven-player game. Two forwards, two midfielders, a ruckman and two defenders on the field. The Lions demonstrated good ball passes, but the Dingoes tackled and pushed hard. The guest Dingo, Ryan Archer, who is an exchange university student, found open space and ran into the goal square. He scored the first goal of the game. You start by heading north from Islamabad, the capital city of Pakistan, towards the border with China. Eventually you link up with the Karakorum Highway, passing through never ending vistas of amazing mountain scenery. It isn’t the Himalayas, but a magical land in its own right. Then you arrive at the village of Gilgit Baltistan. Here, Saliha Baig Jaturi is running Aussie Rules footy clinics. Not only does she face the challenges of being a woman in a Muslim country, where particular expectations on women can restrict what a woman can do, she is also selling Australia’s national game to kids and older villagers who know little or nothing about the game. The other big challenge is snow. The mountains on the Pakistan/China border zone rank amongst the highest in the world and have the cold to prove it. Riley Beveridge from the sww.afl.com.au website reports that Port Adelaide has a new partner in China for the next three years. After talk and speculation since the Gold Coast Suns withdrew from future agreements, St Kilda has formally been announced as the new opponent for the Power in Shanghai, commencing next season.